The freezer is the refuge for ice cream, beef, chicken and a number of other food and beverage items that are kept fresher when stored in colder temperatures. Freezers are very useful inside refrigerators, but there are common problems they can experience, such as excessive frost or leakage. 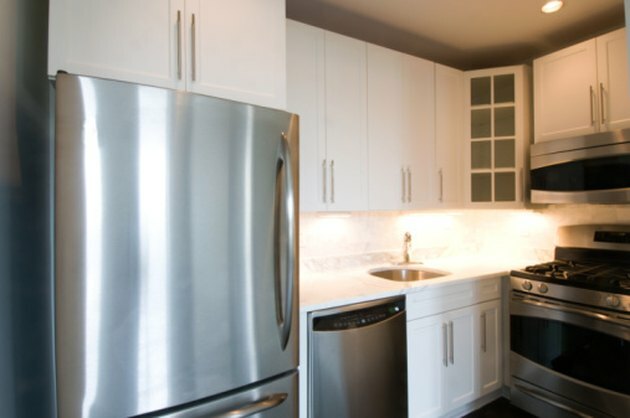 Review some tips for refrigerator freezers to help prevent these issues from occurring. 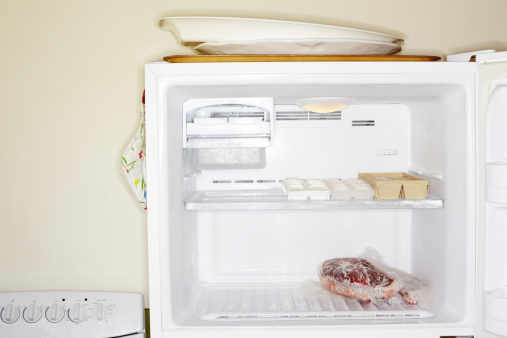 Refrigerator freezers require some basic maintenance to stay functioning. If the items in your freezer are warmer than they should be, you may be overfilling the freezer. If items are packed too tightly against each other, they actually function as insulation for each other and make it harder to cool. The air in the freezer needs to circulate throughout the freezer section and blow evenly around the objects that are being chilled. In addition, if the freezer is too full, the food could be packed against the vents and prevent the cold air from successfully entering into the freezer, resulting in melting ice cream and warm meat that could potentially go bad. The freezer can easily get deposits of mold and food debris built up inside it if it is not cleaned regularly. While the colder temperature makes it harder for mold and bacteria to grow, it does not eliminate the possibility, and the freezer can easily become stained. Cleaning the freezer helps keep the freezer looking its best but also can improve its function as well. Empty the freezer out, and either place the items in the fridge portion temporarily or leave them on the counter or in the sink while the cleaning takes place. Spray down the freezer once a month with a mix of warm water and white vinegar in a 50:50 mix to disinfect the surfaces in the freezer, to remove frost and to clean stains and deposits. Many of the most common problems in refrigerator freezers stem from the coils not being properly maintained. The coils are frequently located in the back of the fridge, and they are responsible for the transfer of coolant through the system. They can also overheat easily if they become covered in dust or pet hair. If the coils stop working properly, the coolant cannot be circulated through the fridge and freezer effectively. While most fridges need the coils checked and cleaned once a year, side-by side models usually require maintenance twice a year. What Makes Mold Grow Faster on Bread?